More than $20 million have been invested for training and additional $50 million will be spent on this matter over the next couple years. BMW’s Mexican facility, under construction in the central state of San Luis Potosi, reports a 60% completion in its main buildings and remains on schedule to start production of next-generation 3 Series sedans in 2019, Company officials revealed during a press conference. The painting facility is 30% completed, the area for vehicle testing before shipping is 20% and the assembly zone is barely 10%, but it will be one of the last to be finished, said Hermann Bohrer, President and CEO for the Mexican plant, which will build 150,000 vehicles a year. The company already hired 380 workers of 700 they’re expecting to recruit by the end of this year, Bohrer added. More than $20 million have been invested for training and additional $50 million will be spent on this matter over the next couple years. The plant is counting on 180 suppliers to begin production, but 160 of those have already operations in the country, 45 are installed in the state. Only 20 suppliers are new to the Mexican supply chain network and they’re working their ways to integrate. BMW will install at least 71,000 square meters of solar panels to power its facility, said Raymond Wittmann, BMW SLP Project Vicepresident. The Company has yet to determinate how much power will require the facility and which supplier will provide the panels, but the goal is to set operations with 100% CO2-free energy. 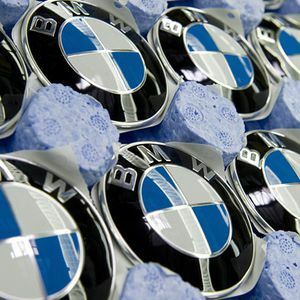 The new plant will also use the lowest volume of water per BMW vehicle, which involves the brand’s first paint shop using recycled water.